Nubuck Liquid Renovator / We believe and know that for all who succeeded to touch our unique product range, CASABLANCA is the beginning of a beautiful and continuous friendship! 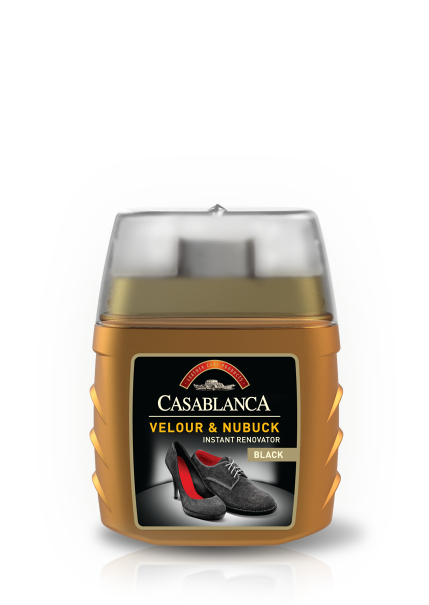 The product has been designed for cleaning and replenishing suede and nubuck leather. It has an applicator equipped with brushes for suede flake ruffling. The Renovator comes in three colors - black, brown and neutral. The black and brown color renovators dye and replenish the leather color. 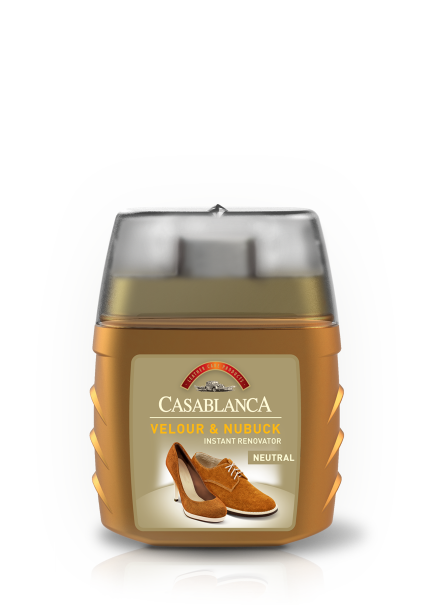 The neutral renovator replenishes the look of suede and nubuck leather shoes.